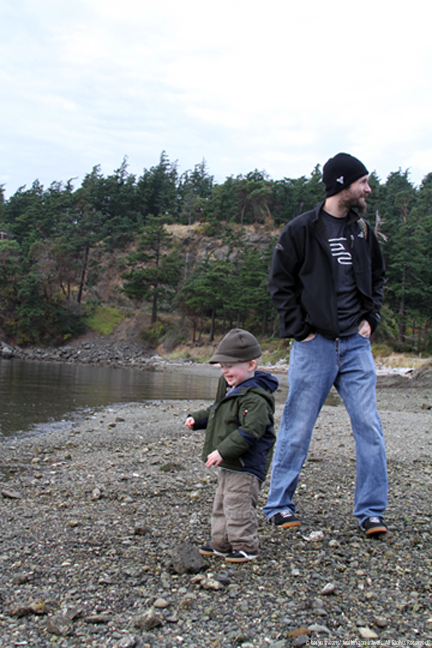 With only 24 hours to spend on Orcas Island, where did we begin? Well, Mike was hungry, so we headed to Eastsound where a greater number of restaurants could be found. It was also the largest town we would see on the island. Bread, cheese, meat and cookware in the shop with tasty treats and hearty meals in the cafe. Thanks to a little research done on CascadiaKids before we left, I got some great restaurant suggestions from a guest post by FoodiePatootie. 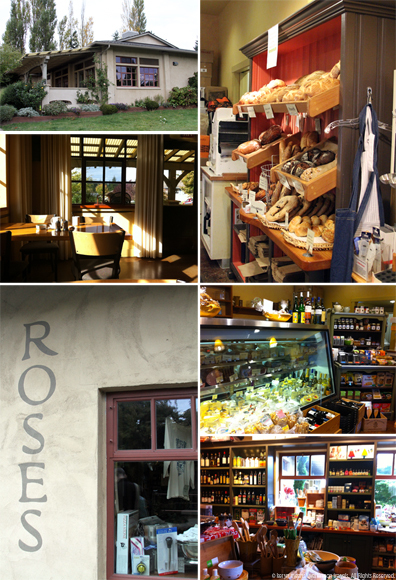 Our first stop was Rose’s Bakery and Café (382 Prune Alley, Eastsound, 360-376-4292.) The menu changed slightly every day, which is one thing I love about local restaurants. Even at breakfast there were enough sweet temptations to tempt me. There were also a few savory breakfast items to fill Mike’s stomach. After much debating, Mike finally settled on sharing a breakfast sandwich with Dek. I munched on a nectarine blueberry cobbler. It was cold, which is not something I am used to, but it was tasty nonetheless. Fueled up and ready to explore, we hit Main Street. I popped into shops and peeked into windows. Dek examined leaves that had fallen off the changing trees. Mike just inhaled the sea air, happy to not be doing much of anything besides enjoying his family. 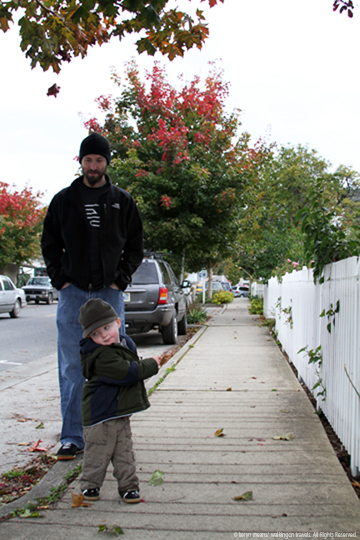 We made our way down to Emmanuel Episcopal Church (242 Main Street, Eastsound, 360-376-2352). This small white church with a steeple was founded in 1885. It had a beautiful little garden still in bloom along with a view of Fishing Bay. Once we got closer we noticed a labyrinth built into the grass. 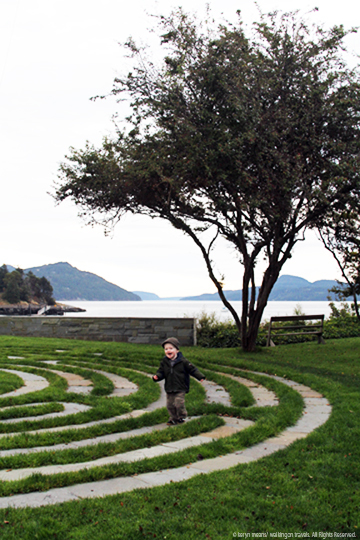 Dek had no idea what a labyrinth was but he was sure going to find out. Dek ran along the concrete like he had been doing it for years. Just like his daddy, this boy was into figuring out a good puzzle. Things only got better when Mike started to chase him. We were having so much fun that we almost didn’t notice how tired we all were. Almost. With a few tears, we headed towards the car to make our way back to Deer Harbor for a much-needed nap. Dek might not have agreed, but I was pooped and cold. I needed to turn up the heat and crawl into bed for a couple of hours to revive myself for our next round of exploration that afternoon. We were about to wander around yet another Washington mountain. Great pictures, as usual. That one of Dek on the water is fantastic. Love the blog post about our beautiful island! Nicely done. Thanks so much for stopping buy! It really is a gorgeous island and so relaxing for even the busiest parents. 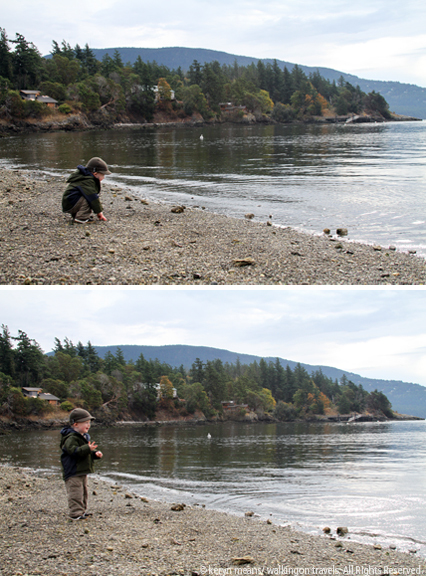 That Dek sure does love to throw rocks! 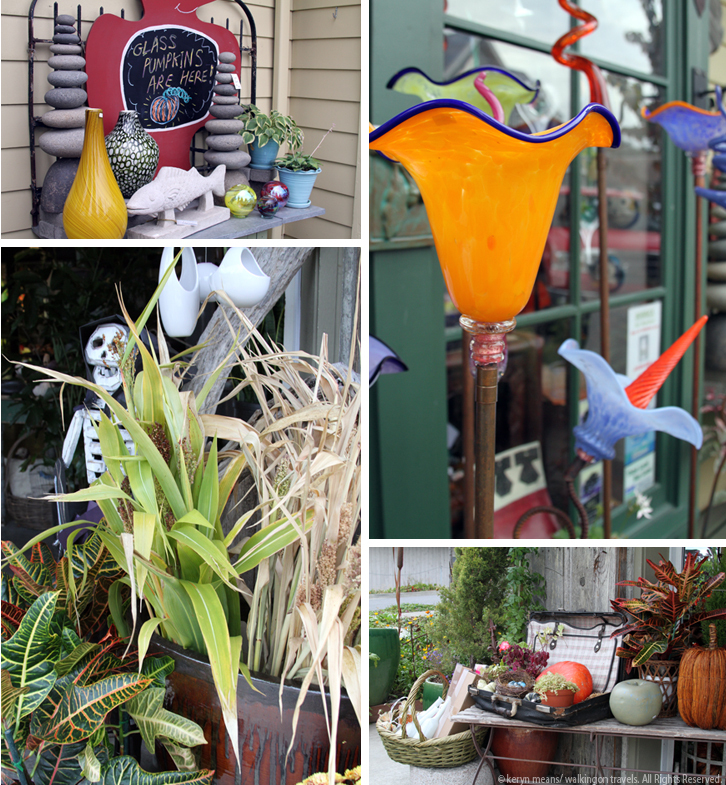 Orcas Island looks charming and the photos are lovely! Let’s just say rocks make it much easier to walk past toy stores so I’m not fighting it. Ha!